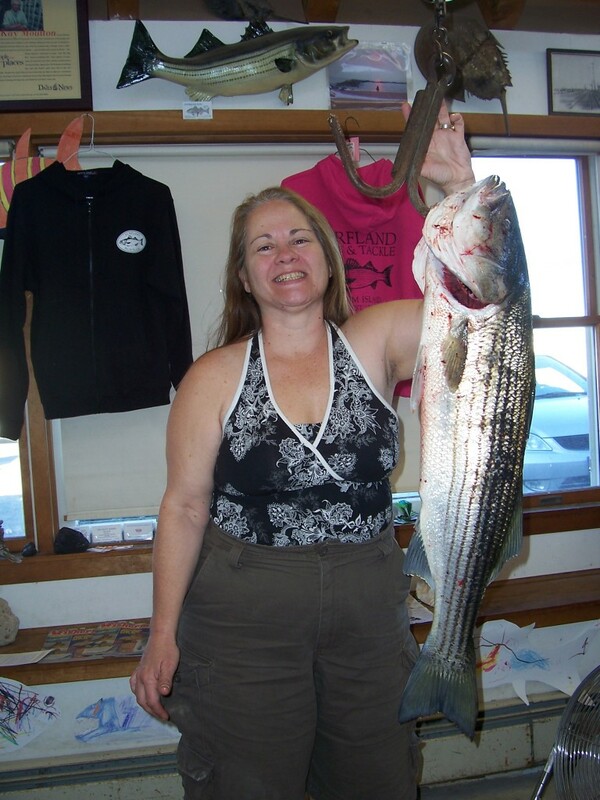 Surfland Bait and Tackle – Plum Island Fishing » October 9th: GO BETTE!!! While some fishermen left the beach complaining of the wind that was blowing sand along the beach and the seaweed that was snagging in thier lines, Bette Flynn from Warner, MA was steadfast in her belief that she would catch a fish today. She persisted and caught this 13.8 pound striper along the southern end of the oceanfront down the refuge this afternnon. The fish was caught using seaclams right about the high tide mark (give or take a few minutes). Other reports from some of the “drive-ons” this morning consisted of a few fish being caught last night during the incoming tide. Mostly schoolies, but a couple slightly over 28″. And, as I was creating this report another fish arrived at the store. Two guys showed up this morning looking to rent some rods and go try their luck catching some fish. Billy suggested they use worms and head to the refuge. 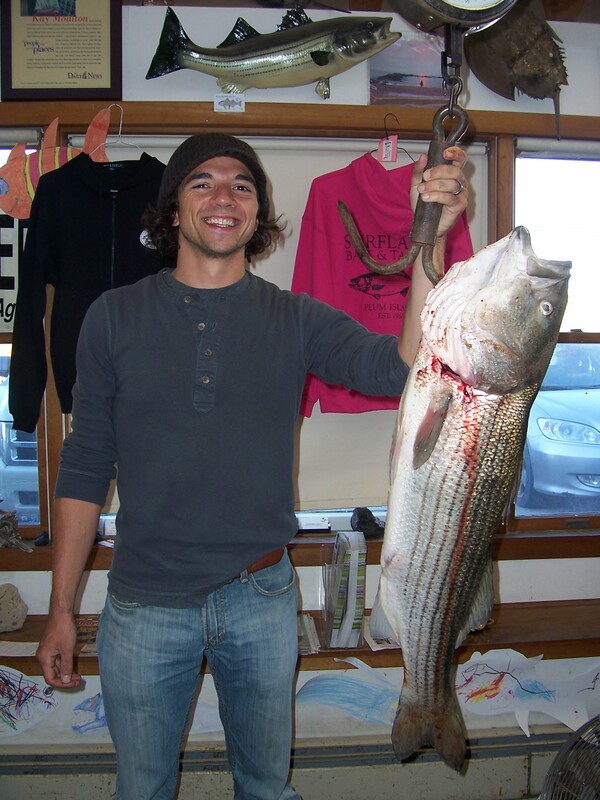 Well, Tony Carbone from Boston caught and released one striper measuring 20″ and then this 36″, 18.12 pounder during the top of the outgoing tide this afternoon down on the northern end of the refuge.